When you hire SFP to paint and maintain your property, buiding, Hotel etc not only will you receive 10% signing on discount, your maintainence schedule will also include deep discounts for your loyalty! All property owners belonging to the building are automatically entitled to the same discounts for their own homes! Are you a General Manager, Director of Facilities, board member? Are you part of an apartment, town home community or Property Manager? Are you part of the decision making process when it comes to improving or maintaining your properties or community? Do you want your buildings to look new all the time? Are you frustrated that only a few months after painting your building is all scuffed, marked and damaged? SFP has the perfect solution to save significant funds and keep your building in pristine condition! 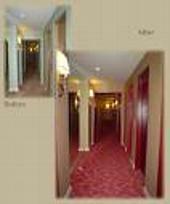 Once we paint or wallpaper your building, we maintain your building on a quarterly basis. On average each community may need to repeat this process every 3 years to keep the building well maintained and attractive to potential buyers or renters. Saving of 9600k over 9 years! Color scheme is an important factor. There are a few attractive color schemes on the market that not only look great, they can also stand the test of time. By that i mean, the paint job can wear well and continue to feel comfortable and classy. These are the color schemes that are relatively easy to maintain versus a simple off white color scheme. 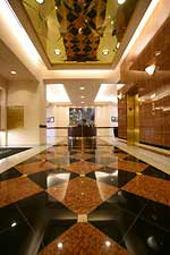 The benefits are huge, not only in saving significant funds, also the entire building looks in great shape 365 days a year! When an owner places their home on the real estate market, potential buyers will see an impressive building where all the owners take pride in their building versus a shabby appearance where the potential buyer may well be put off buying the property by appearances. As well as keeping your building in great shape, we also do turn key services such as drywall repair, millwork installation and other services. You get all your projects done with us, your trusted professional contractor. No need for soliciting bids, delays or frustrations.
" Just when the building was beginning to look shabby, i came home to find it looking like a brand new paint job again! this is an impressive program!" Homeowner at Ambassador Condominiums Seattle.